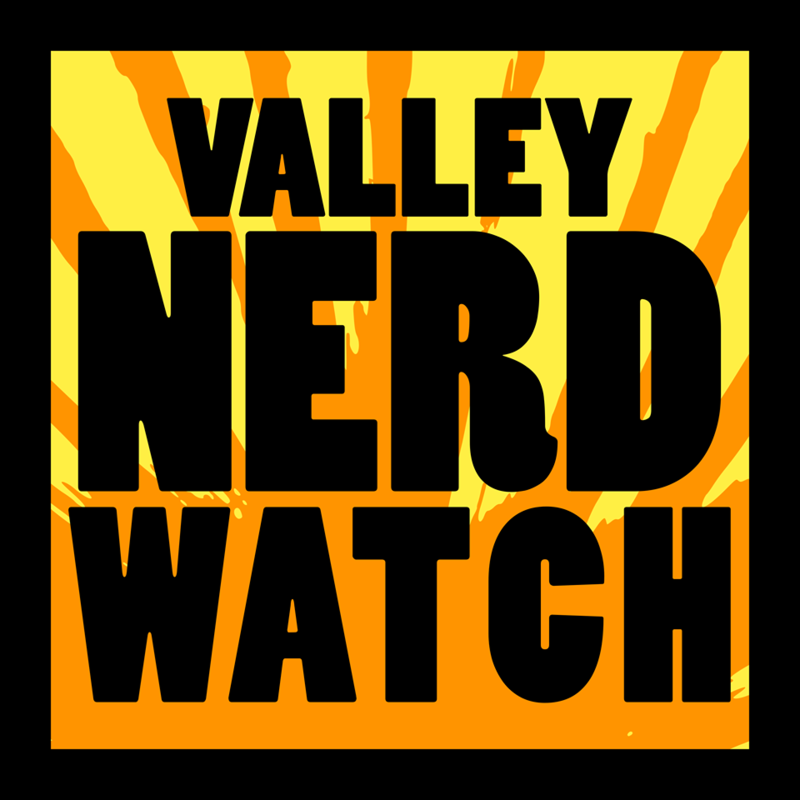 We just found out about some new Valley Creators, which is exciting! Mayham Games out of Belchertown. “Your Porkal to New Worlds”, according to their excellent slogan. Gurglemire – Your rag-tag team of trappers will work together in this cooperative 1-5 player card game to capture the rare creatures of the Gurglemire to reap your reward. Barnyard Bout – Pigs and Sheep battle it out to determine which is the best in the barnyard. Kill It with Fire – Plot against your evil nemeses in a race to corrupt a whole city without your minions going rogue forcing you to kill them with fire in this 2-4 player worker placement game. Those all sound neat! You can sign up on their website to be a playtester if you’d like. They’re hosting the 7 Wonders game night at Off The Wall this week, so you can also say hi to them there. Check out http://www.mayhamgames.com/ for more! Knitting is a good skill and a fun thing to do with other people. Get together and knit! Local writer and veteran Eric Wasileski will lead a writing workshop! Military veterans and their families are very welcome, though the event is also open to the public. Warriror Writers works to build a community that allows for artistic expression and helps people witness the full range of military experiences. Attention adults! You can color! It’s within your power! Come color at the library to relax! They’ve got adult coloring books, which are like children’s coloring books only they’re a fad. They’ve also got Coffee, which is maybe not the best idea at 6pm but probably they have decaf! Call (413)283-3330 to reserve a spot! Adults only! This time you’ll be making snowflake candle jars, which look very cute! A club to create zines! It’s for all ages! It’s for all types! It’s for you, and for us! It’s for anyone who wants to make a little thing they can pass around to folks and say hey this is my zine it’s full on neat art/writing/whatever, you’ll like it! A meeting about work done related to art? No idea, but if you’ve got a hankering to find out, why not go? Tell US what it is! Free museum! It’s one of the best museums around, and it’s free! Starting at 4pm and going until 7pm, make your own hands-on quadri specchianti like Michelangelo Pistoletto’s Mrs. Lichtenstein, combining together collage, photography and drawing on a shiny surface. The museum shop will be open and you can get some light refreshments! Create your own collages and works of art out of recycled book pages! “Amanda Maciuba: Flyover. Colleen Keough: Electric Feminine Cosmic Hybrid: Infinite Desire” One photo looks like cutout art of planes flying over places, and one looks like roses but all squished up and mashed together. Look, we’re not the best soure on this you should just go see the artists themselves! “This week’s board game is the classic card drafting game 7 Wonders followed up by the any game from our games library. As always there is an optional $5 for pizza, and all boardgames are 15% off.” Hosted by Mayham Games, of Belchertown MA! They seem to have some very good and cute games! “Cost: $12/human (regular admission cost), but BUY ONE, GET ONE FREE if you’re here for the co-op games. Let us know at the door. Ages 13+! Open 4pm to midnight! Admission includes all night, unlimited gameroom play! Bring your friends and work together for this co-op board game night, hosted by Goose Gosselin. Goose will be available from 6pm to 10pm to play and/or assist your gameplay. Forbidden Island will be the showcase; a simple to learn co-op. Or… bring your own game and gather with others!” Forbidden Island is fun but tough in our experience, we’ve only won one time! Learn to toast! Finally, figure out how to make bread hot! Or it could be the one that’s about learning to speak effectively in public. If you’ve got trouble with both, you’re set! He’s going to play music and tell stories! You can attend to listen to both, and perhaps attempt to steal his power by acquiring his clown nose. For ages 1.5 – 6 years old! A regular rendezvous of web makers, designers and creative coders! It’s a fun tim where you can talk to folks who mostly know what you’re complaining about when you talk about your work. Smash Tournament – Ultimate & Melee! “Many people today find themselves learning about DevOps by first seeing one of its outcomes and learning about how that outcome came to be. Learning why something is considered to be a part of DevOps is not necessary to implement those pieces of it. However, knowing why something would be considered a part of DevOps, or even why a DevOps strategy is important, and for who, can mean the difference between following and leading in an industry.” They have pizza! Virtual Reality Night w/ Pioneer VR! “Admission: $12 for access from noon to midnight, VR from 7pm to 9pm! Ages: 13+! Pioneer VR runs a VR Night once again here at Prodigy! System will be available from 7pm to 9pm. Arrive early to ensure a chance to play!” That sounds like a fun time, VR is really impressive now! Teens! Tweens! Eens in general! Watch a movie, eat pizza. It’s that simple. We’re going to guess you’re watching either Infinity War or Roma. Cards! Games! Pokemon Go! Which just got battling! That’s going to be awesome! Also tournaments, other card games, trading, drawing, and snacks! Also Pokemon Let’s Go is so goooood! Teens! Discover a new game, or play an old favorite! We are big fans of Codenames, that’s one to give a shot.